Measurement: 5 1/2" H. 3 3/8" W.
Condition: This lovely Pyramid Footed tumbler is very hard to find without damage. 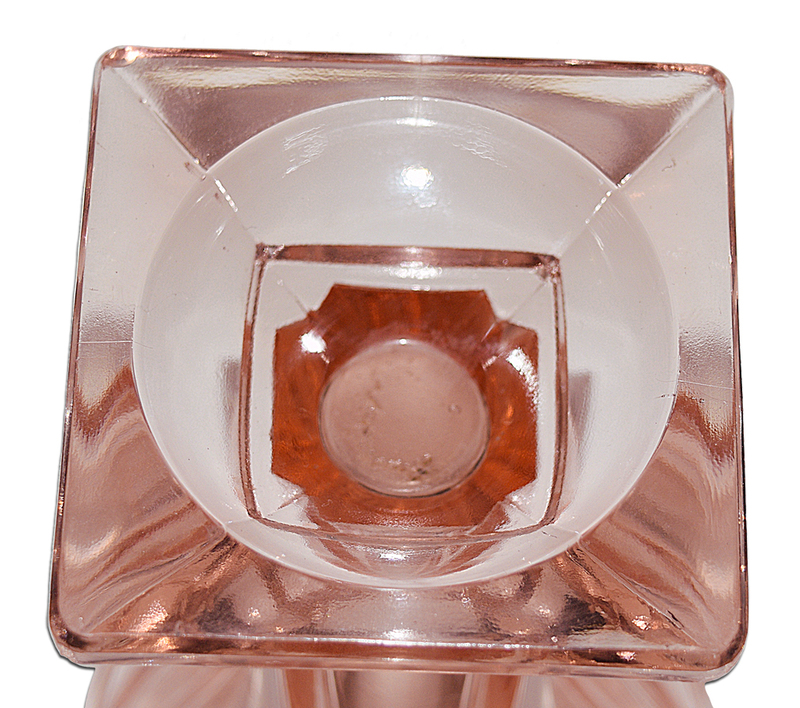 The tumbler is in Undamaged Condition without chips, cracks, or mold damage. The color is beautiful and the tumbler is clean inside and out. We have double checked all the sharp edges on this piece and have found them to be damage free. We have multiples of this awesome piece. They are all in the same Undamaged Condition as the one shown. 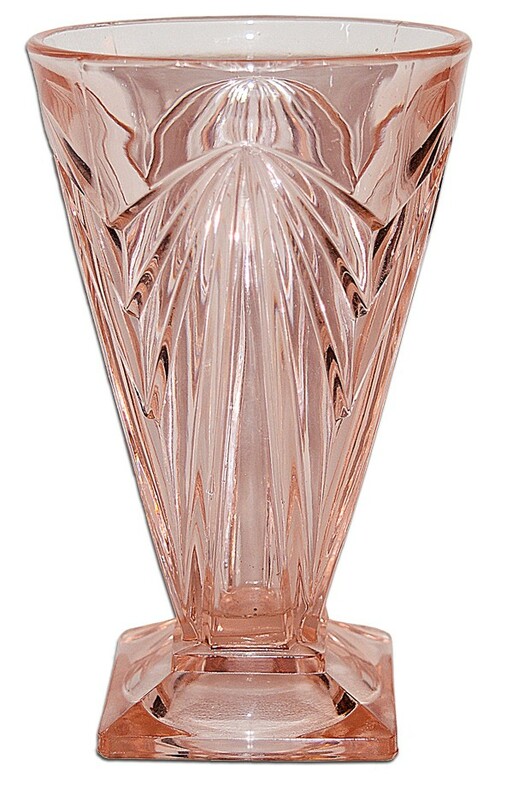 Please check the listing to see how many are still available..
Pyramid with its sharp lines, bold edges, and deep grooves is probably the most stylized machine made, Depression Glass pattern made. The Indiana Glass Company introduced this pattern in 1926. A pitcher, tumblers, a sugar and creamer with tray, ice bucket, ice bucket lid, various bowls, and a relish were available in this Deco pattern. 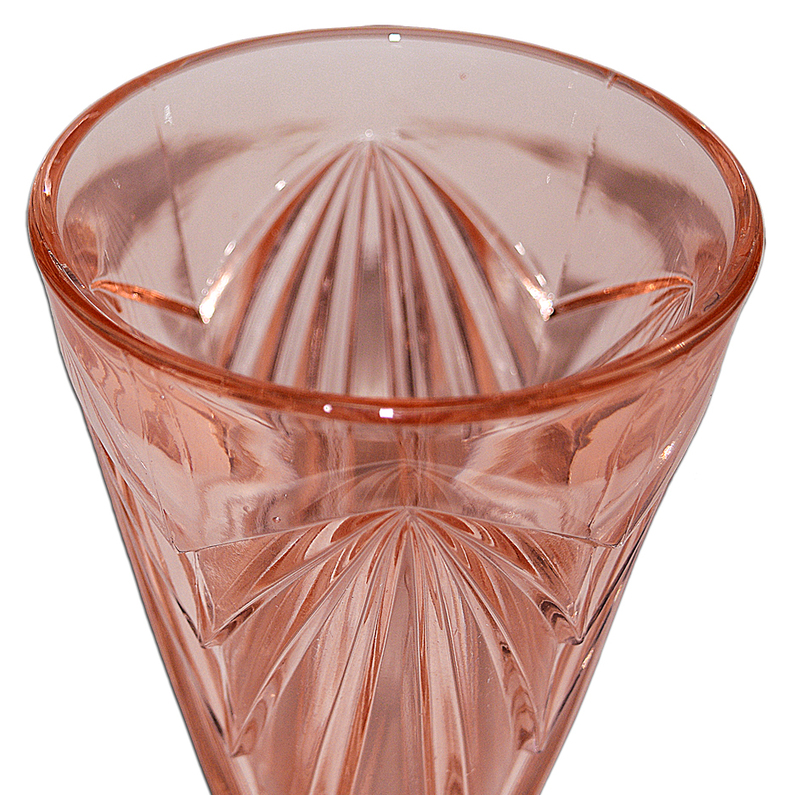 Pyramid is today one of the most sought out patterns in the Adam to Windsor Depression Glass category. Finding mint condition, undamaged pieces is a challenge. The pattern design, and weight of the glass lends itself to damage. However, someone with determination and the diligence to continue looking can put a complete undamaged set of this beautiful pattern together. It has been reported that Pyramid was reproduced. While Indiana did produce some pieces in the 1970s through their subsidiary Tiara, this would be considered a reissue and not reproduction. Since the only colors used were blue and black, which were not original 1930s colors there should be no confusion about what is old and what was the 1970s reissue.